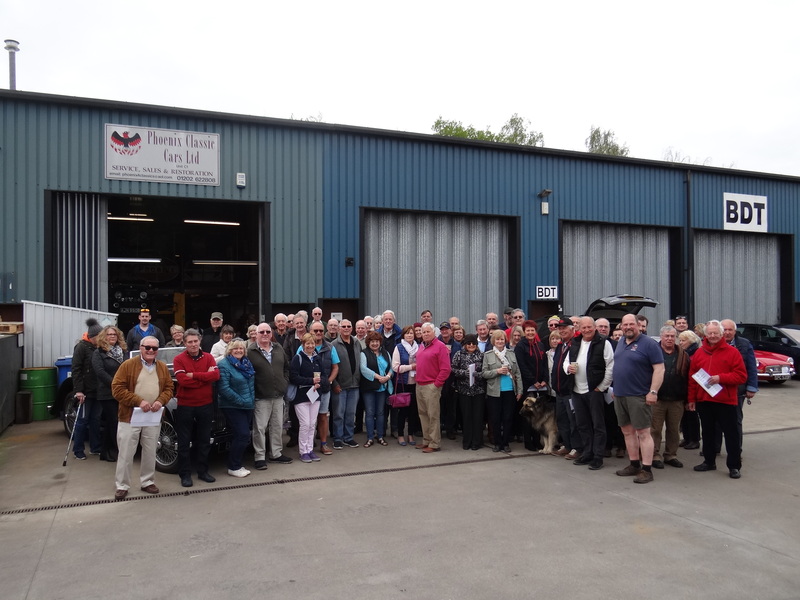 Meeting at Phoenix Classics at 10.00 am for an 'open day' with complimentary coffee and pastries prior to the run, provided a chance for all entrants to get together , check their routes and get ready for the 61 mile run to Harmans Cross village hall. On arrival at the hall, which is situated alongside the Swanage railway line, adjacent to the Harmans Cross station, arrivals were greeted by more tea and coffee before being served an excellent pulled pork hog roast with all the trimmings and various salads. The weather was very good and many members ate outside the hall on the patio. Dave Bailey and George Parrott are to be congratulated on again producing a first class route.